Join me for a look at reading comprehension strategies that will help your child grow as a reader. This Reading Mama and I teamed up to bring you another collaborative series! Together, we shared nine reading comprehension strategies to help your child learn and grow as a reader. In this series you’ll find sample lessons, book lists, and other tools to bring these strategies to life. The simple answer? It’s understanding what you’re reading. But if you’re teaching your child to read or a helping a struggling reader, you know that reading comprehension is anything but simple. It’s actually a combination of reading, thinking, and reasoning. He doesn’t understand what the story was about. It takes him so long to read the story that he can’t remember what’s going on. He may focus so much on the details that he misses the main point. He can’t retell the story in a way that makes sense. What is a reading comprehension strategy? It’s a tool to help your child make sense of what he reads. Imagine that your washing machine stopped working. You call the repair man, and he arrives at the door ready to help. But he’s empty handed. He’s simply not equipped to do the job. Think of reading comprehension strategies as tools in your child’s tool box. Equipped with these tools, your child will be able to make sense of new texts. Best of all, reading comprehension leads to a love of reading. How should you teach these strategies? Assist your child as he uses it. Release your child to use the strategy independently. And don’t worry – our series shows you exactly how to do this. 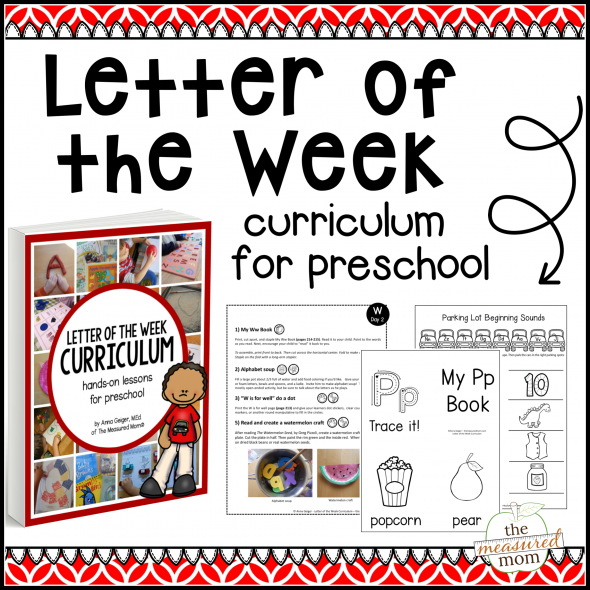 Check out each post for a free lesson and printable! Schema – Children active their own background knowledge. Predicting – Students use their schema, along with words, pictures, and text features, to make predictions. Inferring – Students learn to read between the lines, making their best guess with context and picture clues. Visualizing– Students create mental images as they read poetry. Questioning – Students learn to create their own questions so they become active learners. Determining importance – Students figure out what’s important as they read fiction. Synthesizing – Students use their background knowledge and text clues to “put it all together” and make new meaning. Summarizing – Students put the story in their own words using important details from the book. Have you seen our other collaborative series? P.S. 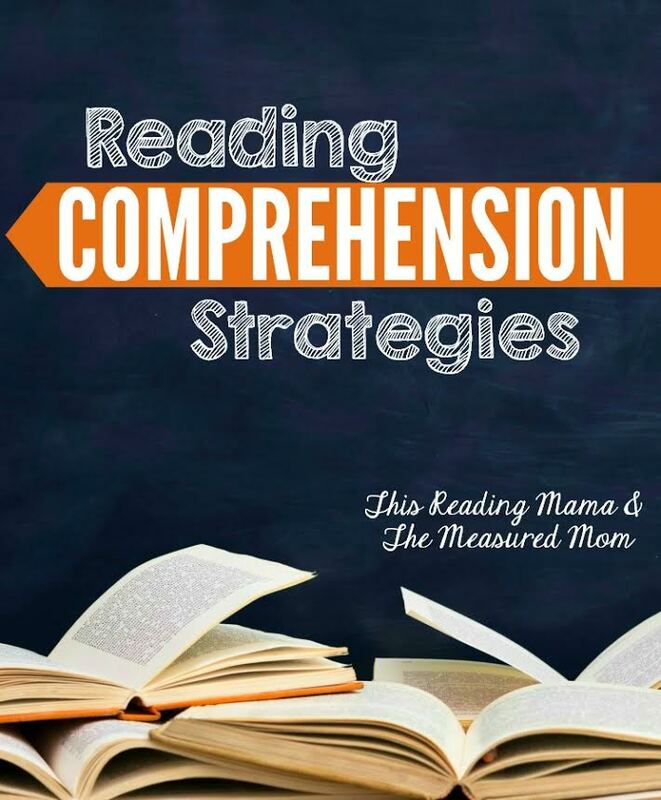 If you’re looking for a more detailed look at reading comprehension, be sure to hop on over to This Reading Mama to see her series introduction. I love this series! Do you have a list of reading comprehension strategies that should be taught in upper elementary? Or maybe a great book to refer me to reading? Is there a specific book to buy or it is just information available on-line. This is not a book, but rather a series of blog posts. Click on each brown link to get loads of helpful information! Here are some published books you might find helpful: http://thisreadingmama.com/books-reading-comprehension-strategies/ (My favorite is 7 Keys to Reading Comprehension). This post was very helpful! thank you Anna!!! Thanks for the post …i m mom of first grader but now got more confused after this post for where to start and which startegy to follow for which book. Do you have any book that guide us and give us set of questions for comprehension. I don’t have a resource like that, Jas – but I will keep it in mind as a possible future project. I like your reading comprehension book “If You Lived in Kenya”. Are there other books in that series? Also loved the Kenya book! Do you guys offer a course on teaching math, problem solving, place value etc for K-2? This will truly be beneficial as well. This post was extremely helpful. Thank you. I really like the way you share the details of every aspect of teaching.I have a first grader at home and he is facing a little difficulty in this part of reading especially the connections. I am trying the ways to move ahead in comprehension strategies.I have a question, Do all the kids in general have the ability to understand this part when they are at first grade? Hi Lavanya! I’d actually recommend that you check out this series about reading comprehension strategies. It’s for K-2.